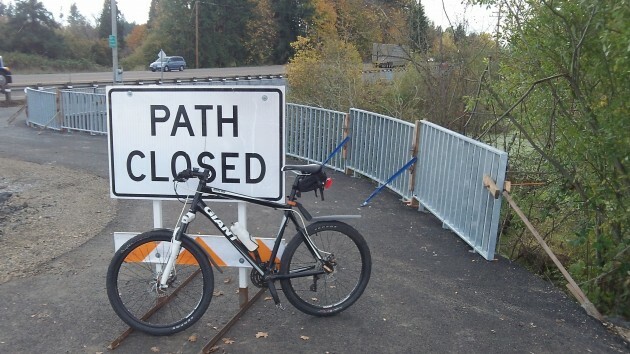 This part of the bikeway was still closed on Monday afternoon. You’d think the new Highway 34 bikeway between Riverside Drive and Wolcott Road would be finished and completely open by now. But no. 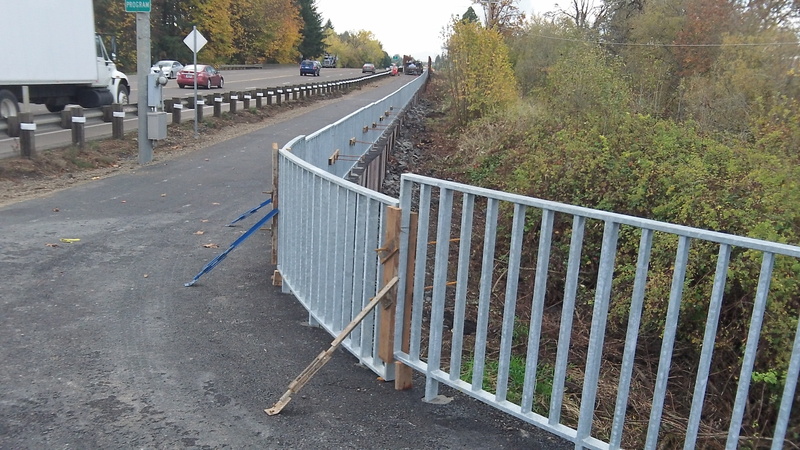 I went down to take a look Monday afternoon, and the path west of Colorado Lake Drive was still closed while workers complete installation of a railing. “Railing” is putting it mildly. This is a series of solid metal grates that still need to be permanently fixed in place. The entire $3.38 million Highway 34/Corvallis Bypass highway project was to be finished at the end of October, but things evidently happened to push back the date. ODOT’s Rick Little told me he would make an announcement when the bikeway is open. I guess I got impatient, which explains my reconnaissance on Monday. The railing, which still needs to be finished.